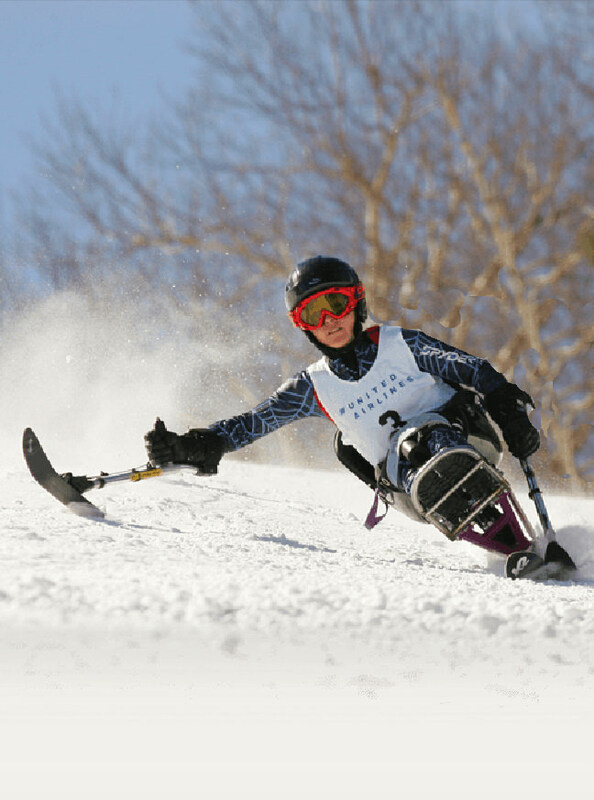 Maine Handicapped Skiing (MHS) is a nonprofit organization that provides sports programs that attract students from the United States, Canada, and Great Britain. MHS’ mission is to develop and operate educational programs that encourage individuals with disabilities to discover new abilities through recreation. MHS hopes that recreational experiences will enhance other aspects of their lives to develop self-confidence, self-motivation, increased physical strength, and an improved self-image. MHS also wants its students to learn a sport they can enjoy with family and friends throughout their lives. MHS provides adaptive ski equipment and warm winter clothing. Trained volunteers work with children and adults with physical disabilities so they can become independent skiers and snowboarders. All lessons provided at Maine Handicapped Skiing are free of charge to its students. In the summer of 1999, Maine Handicapped Skiing started a small summer adaptive sports program for adults and children with physical disabilities. Lessons offered include canoeing, kayaking, hand cycling, outdoor skills, and adaptive golf.